Low volume grinding, precise dosing on demand - shot by shot. Hopper slide. Overload protection. Electronic doser counter. Port-a-filter rest. Electronically controlled timer. Manual push button. Multifunction control display. Variable programming for single and double shot. Grinding time for single. 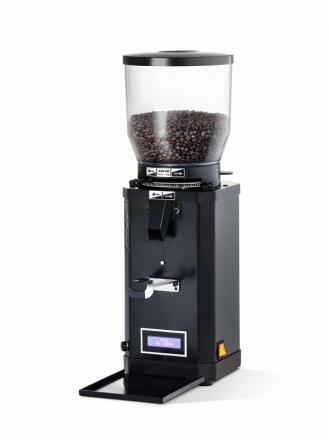 Espresso is 4,6 seconds. 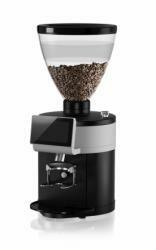 Grinding capacity 1-2 kg per day. Professional grinding, precise dosing on demand - shot by shot. Hopper slide. Overload protection. Electronic doser counter. Port-a-filter rest. Electronically controlled timer. Manual push button. Multifunction control display. Variable programming for single and double shot. Grinding time for single espresso is 3,2 seconds. Grinding capacity 2-3 kg per day. SCODY-II with stepless grind adjustment and cooling fan (accessories). Mahlkönig DK 27, big brother of DK 15, is an industrial grinder with small space requirements. Movable container for the ground product. Tight discharge chute for dust reduced grinding. Large hoppers. Lock plate to interrupt the feeding of the product to be ground. Integrated hopper magnets as a protection against metal in the product. 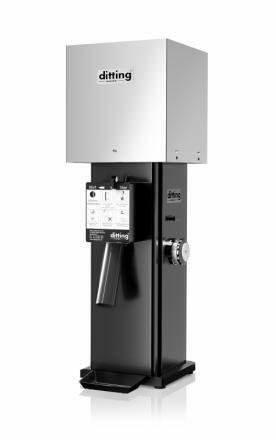 Powerful three-phase motors with surface cooling and high starting torque. This makes them very suitable for continuous use. Air cooling of grinder casing. Service-free, constantly greased bearings. Motor protection against electrical overload. Extremly wear resistant, precision grinding discs for careful cutting of the material. 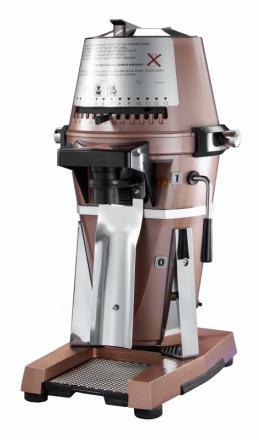 The grind adjustment wheel provides fine, accurately repeatable control of the degree of grinding finess. The K30 2.0 is a top class espresso grinder combining approved functionality with innovative technology. 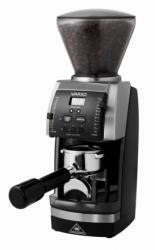 The fresh grinding of every single shot gets started automatically by inserting in the portafilter. All adjustments and statistics can be operated easily through the multi-touch display. Quick and easy adjustment via multi touch display with 4.3”. Log file (recording the operational status: coffee consumption, error read-out). 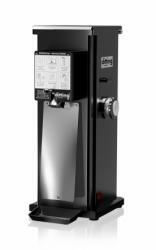 Saves approximately 30% space compared to two single K30 espresso grinders. Stepless grind adjustment. Ventilation for cooler grinding. 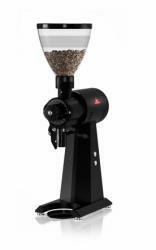 Spout & portafilter illumination. 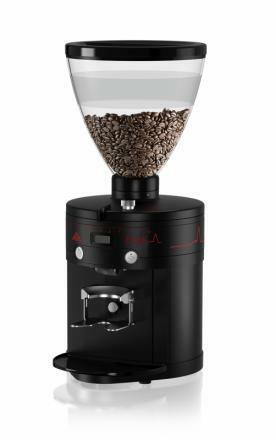 2-in-1 grinder for the fresh portion. Grinding of both espresso and filter coffee with 2 different sets of grinding discs. Quick and easy adjustment via multi touch display with 4.3”. Log file (recording the operational status: coffee consumption, error detection). Saves approximately 30% space. 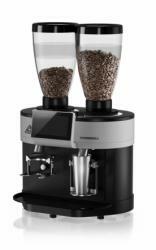 Compared to two single K30 espresso grinders. Stepless grind adjustment. Ventilation for cooler grinding. Spout & portafilter illumination. Stainless steel cup for ca. 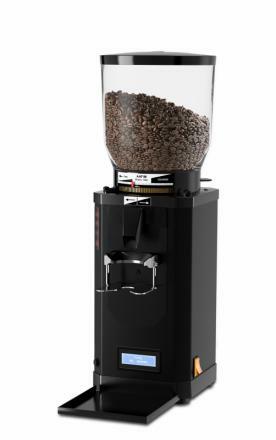 60 g ground coffee. Premium cast steel grinding discs (Ø 80mm). High resistance and reduced settling-in effect. 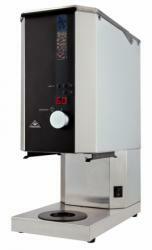 Enhanced heat removal with double ventilation. 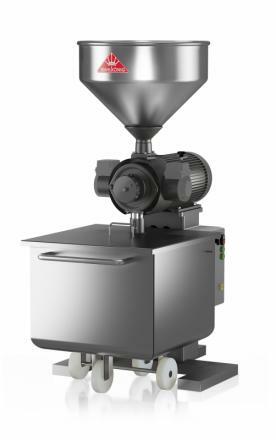 Reduced motor revolutions for high dosing accuracy. 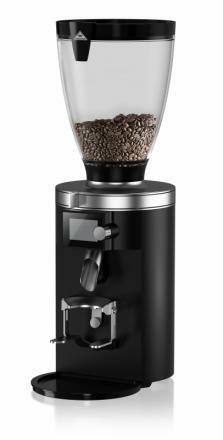 Adjustable spout tube for any portafilter size. Accurate dose adjustment steps in 0,01 sec. Stepless grind adjustment. Most precise adjustment scale for absolute repeatability of the grind adjustment. Premium OLED-display with new designed intuitive software menu. Wide viewing angle (>160°). Innovative adjustable illumination concept at spout area. Solid portafilter fork. Internal temperature can be shown in the display. 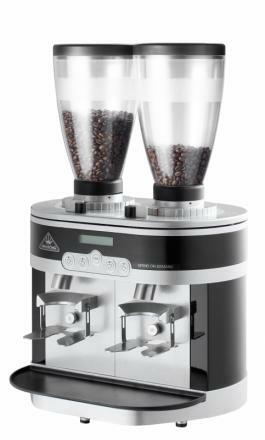 Mahlkönig K30 Vario AIR is a Grind On Demand grinder and starts automatically when inserting the porta filter. Exceptionally fast and reliable. 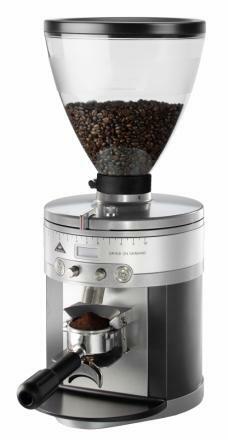 The grinding time is less than 3 seconds for a single espresso of 10 grams. Variable programming and electronically controlled timer. Mahlkönig K30 Vario AIR has stepless grind adjustment, and a clear, backlit display. 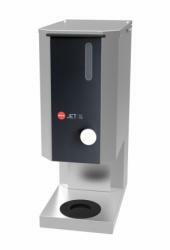 The machine can be ordered in various colors and branding. 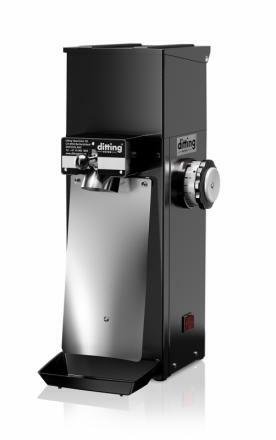 The AIR model has extra ventilation for higher daily output and reduced grinding temperature. 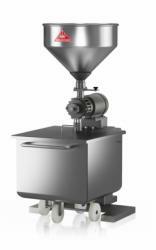 Hermelin offers all kinds of professional grinders for all kinds of requirements. We have the best in espresso grinders, filter coffee grinders, shop grinders and industrial grinders from the high quality brands Mahlkönig, Ditting and Anfim.